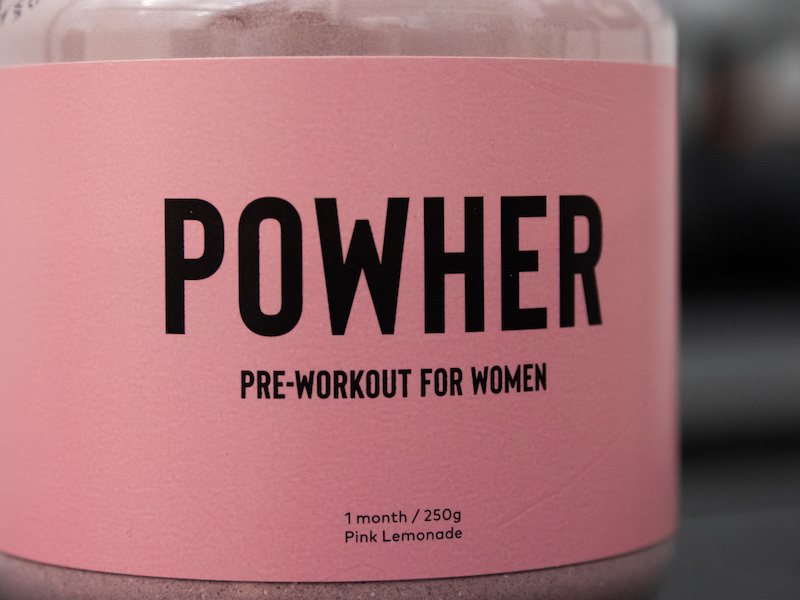 Home » Powher Review – What’s Different About a Women’s Pre Workout? 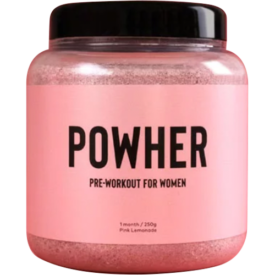 Powher Review – What’s Different About a Women’s Pre Workout? 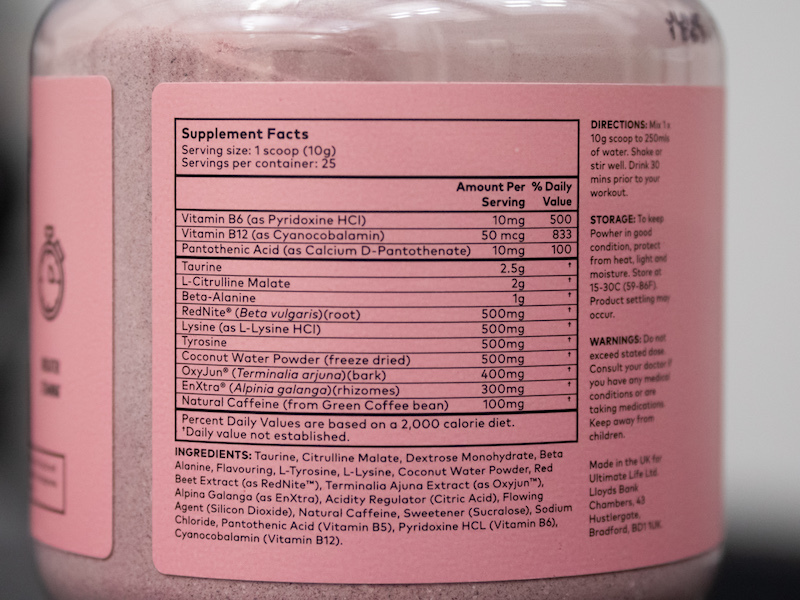 Do women need different pre-workouts than men? Powher is owned by Ultimate Life LTD — the same folks behind the female focused fat burner Leanbean — a supplement company based in England and they claim to be “the first pre workout on the market to be truly specific to women.” It was a little surprising to read as they do have a few competitors, but they address this on the site by claiming many of their “sister products” just mimic men’s formulations and slap “for women” on the bottle. Powher claims to go further. So what makes it so different? 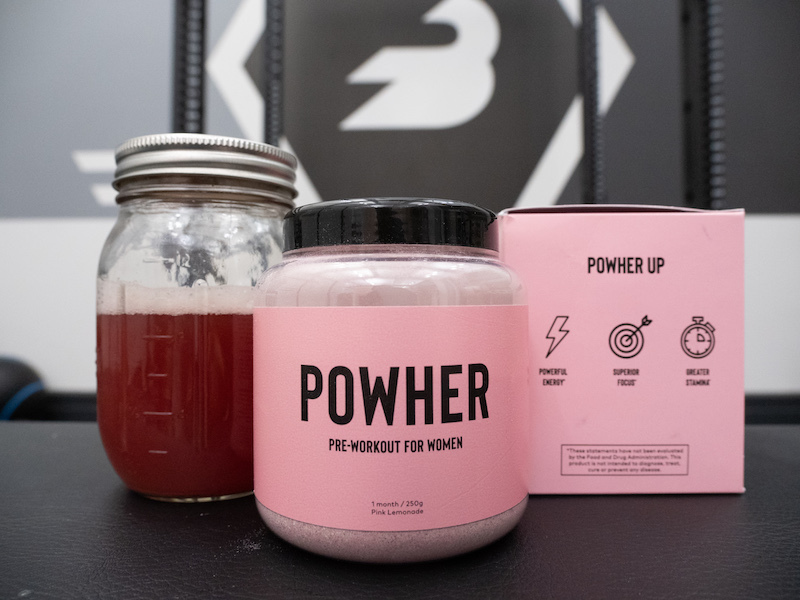 One thing we really liked is that the ingredients are a great mix of proven pre workouts and more innovative, cutting edge compounds that aren’t very widespread in the industry yet. It’s also lower in caffeine than a lot of industry leaders, so it’s more friendly to athletes at lower bodyweights. Here we’re going to take a look at the ingredients in Powher, their potential effects, the price, the taste, and some other pros and cons, so you can decide if it’s right for you. 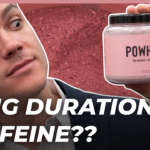 A relatively low caffeine pre workout that's a good mixture of established, science backed ingredients and newer, slightly experimental compounds that could help with performance. Other ingredients include dextrose monohydrate, flavoring, silicon dioxide, sucralose, sodium chloride. Why a Female Pre Workout? So why is Powher good for women in particular? Their website offers a few reasons. A common complaint with pre workouts is that they’re simply too high in caffeine for many people. It’s not hard to find some super strong examples that contain some 350 milligrams of the stuff, the amount you’ll find in almost four small cups of coffee. 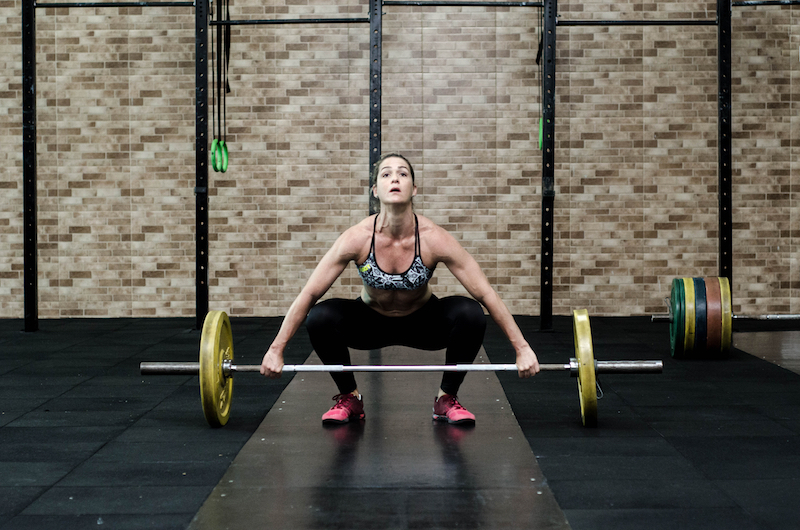 That might be fine if you’re a large, heavy person but women’s pre workouts typically deliver closer to 100 milligrams of caffeine so that it’s not too overwhelming for athletes on the smaller side. 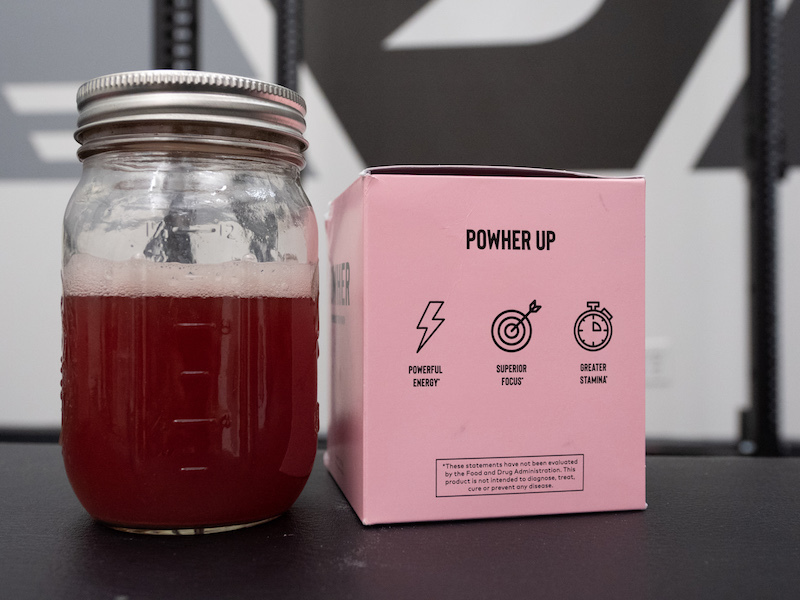 Powher also has a big emphasis on the claim that many pre workouts hit you with a ton of caffeine that’s then followed by a “crash.” This is why they’ve included ingredients like taurine and EnXtra®, which may help with focus and help sustain energy levels. this is the ingredient that makes your muscles retain water in order to make them appear bulkier than normal. Not good if you’re a woman! Obviously, it’s pretty tough for the average person with no training in the scientific literature to have a good idea of what Powher does just by looking at the nutrition label, but there are even a few ingredients here that none of us had seen before. Caffeine, of course, is the best known ingredient in these sorts of products and has strong links with increased power output, endurance, and focus. 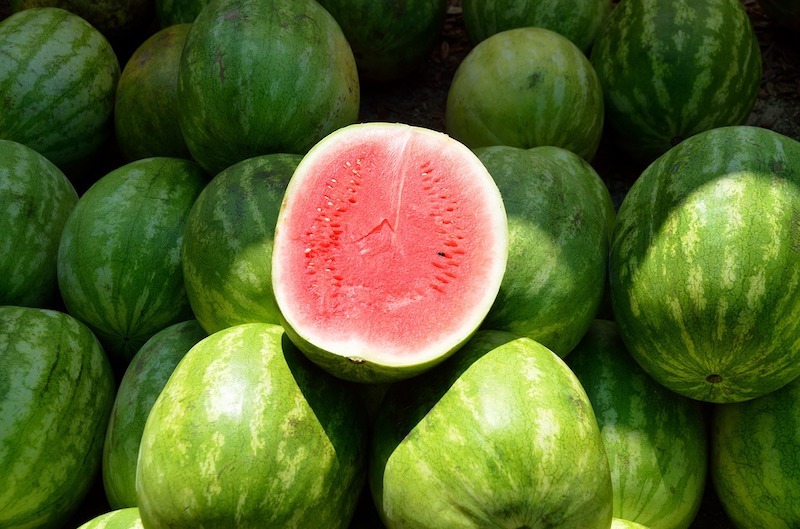 Citrulline — from the Latin word for “watermelon,” a good source of the stuff — is also very well supported as a means of improving blood flow and circulation, which could potentially help with endurance and power output. (4)(5) What’s tricky is that the only studies to have found this effect did so with doses of 5 to 8 grams, and there are just 2 grams in a scoop of Powher. So caffeine, beta-alanine, citrulline, taurine, tyrosine — all super common, pretty well supported ingredients. Then there are the more unusual ones, the ones we should emphasize don’t have a ton of literature supporting them. RedNite is perhaps the easiest to support, as it’s a particularly strong type of beet extract that one study found improved neuromuscular efficiency during heavy strength training. (12) Beets are rich in nitrates, which may help with nitric oxide production and thereby boost performance, so this stands to reason. These three ingredients, we really need to emphasize, don’t have a lot of data supporting them. But what we liked was that this has a mixture of the more innovative compounds with the more traditional ones. Powher has free worldwide shipping and uses discounts to encourage its customers to buy in bulk. While one bottle is $40 to $50, which provides 25 servings and comes to roughly $1.50 and $2 per scoop, the price can drop to $1.20 to $1.40 if you buy three or four bottles at once. 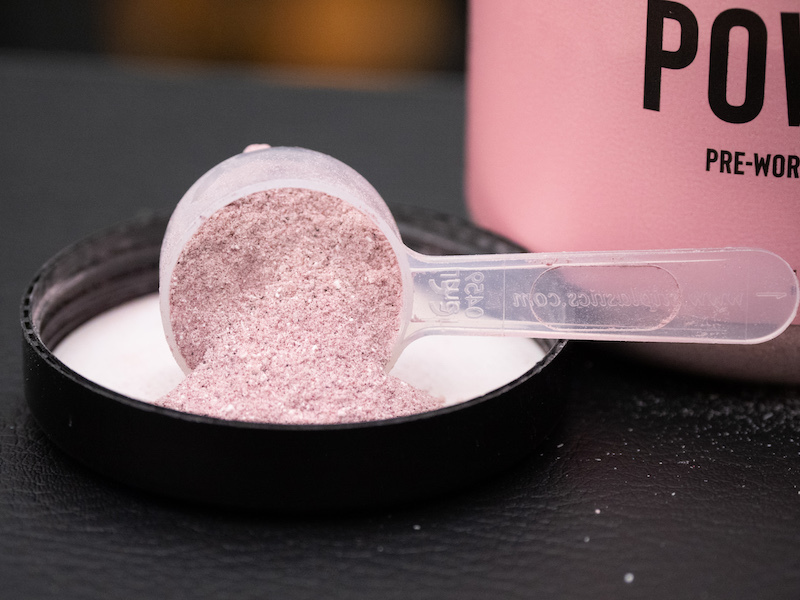 That’s still somewhat pricey, as most pre workouts are more like 80 cents to $1.20 per scoop, but it’s worth emphasizing that Powher has an unusually wide variety of ingredients so you might find that price worth it. I’m a big fan of raspberry candy. I was a tad surprised to find that there isn’t really much of a sour or citrusy flavor in the product, but I still thoroughly enjoyed it. 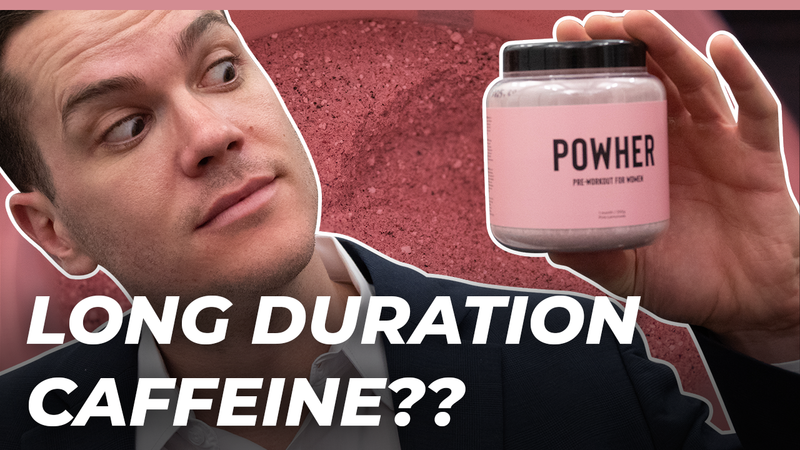 I think Powher is a solid option for athletes who don’t need the huge hits of caffeine and stimulants that are common in the industry, and I think both men and women could benefit from the product. It’s true it’s a tad low in citrulline and I’m not sure why the coconut water powder is in there but overall I think this is an innovative blend of ingredients that are both standard and cutting edge — it’s unusual enough to be interesting but not so bizarre that I can’t have faith in the effects. 1. Izquierdo M, et al. Effects of creatine supplementation on muscle power, endurance, and sprint performance. Med Sci Sports Exerc. 2002 Feb;34(2):332-43. 2. Artioli GG, et al. Role of beta-alanine supplementation on muscle carnosine and exercise performance. Med Sci Sports Exerc. 2010 Jun;42(6):1162-73. 3. Hobson RM, et al. Effects of β-alanine supplementation on exercise performance: a meta-analysis. Amino Acids. 2012 Jul;43(1):25-37. 4. Suzuki T, et al. Oral L-citrulline supplementation enhances cycling time trial performance in healthy trained men: Double-blind randomized placebo-controlled 2-way crossover study. J Int Soc Sports Nutr. 2016 Feb 19;13:6. 5. Glenn JM, et al. Acute citrulline-malate supplementation improves maximal strength and anaerobic power in female, masters athletes tennis players. Eur J Sport Sci. 2016 Nov;16(8):1095-103. 6. Giles GE, et al. Differential cognitive effects of energy drink ingredients: caffeine, taurine, and glucose. Pharmacol Biochem Behav. 2012 Oct;102(4):569-77. 7. Neri DF, et al. The effects of tyrosine on cognitive performance during extended wakefulness. Aviat Space Environ Med. 1995 Apr;66(4):313-9. 8. Deijen JB, et al. Tyrosine improves cognitive performance and reduces blood pressure in cadets after one week of a combat training course. Brain Res Bull. 1999 Jan 15;48(2):203-9. 9. Coull NA, et al. Effect of tyrosine ingestion on cognitive and physical performance utilising an intermittent soccer performance test (iSPT) in a warm environment. Eur J Appl Physiol. 2015 Feb;115(2):373-86. 10. Tumilty L, et al. Oral tyrosine supplementation improves exercise capacity in the heat. Eur J Appl Physiol. 2011 Dec;111(12):2941-50. 11. Coull N, et al. Tyrosine Ingestion and Its Effects on Cognitive and Physical Performance in the Heat. Med Sci Sports Exerc. 2016 Feb;48(2):277-86. 12. Flanagan SD, et al. The Effects of Nitrate-Rich Supplementation on Neuromuscular Efficiency during Heavy Resistance Exercise. J Am Coll Nutr. 2016;35(2):100-7. 13. Girandola RN, et al. Effect of E-OJ-01 on Cardiac Conditioning in Young Exercising Adults: A Randomized Controlled Trial. Am J Ther. 2017 May;24(3):e298-e307. So glad i found this review. The PowHer website doesn’t show ingredients and I was looking for a clean pre… This definitely had my attention until your review was honest enough to show the sucralose… thanks!